The adult social care in England is about to undergo a massive change thanks to the Care Act of 2014. 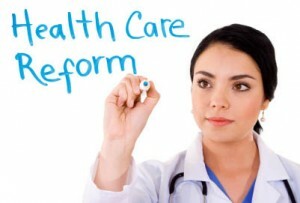 The Care Act institutes new changes that promise to promote positive changes to individuals who are in the care system. The most obvious effect of this new act which goes into enforcement in April, 2015 is that the emphasis shifts from the councils who have provided defined services in terms of assessing and meeting the needs of the individual. The purpose is to get away from standards and practices that many have seen as out of date and provide an openness to allow a more innovative approach. The emphasis will be promoting the wellbeing of the individual by having them maintain control over their daily life by creating their individual care and support plans. The primary goal is preventing or at least delaying the needs of the individual as they age by use of lower level services that are designed to keep people in their home. Basically, it is a care system that is built around keeping seniors in their homes as long as possible until the needs arise for a care facility. There is an emotional as well as a practical need for seniors to stay in their homes as long as they physically are able. Practical: With the rising costs of taking care of the elderly showing no signs of slowing down, it become a practical economic matter that seniors stay in their homes as long as they are physically capable of maintaining their own lives. In today’s system, a senior who has needs such as medication reminders or some physical assistance with their daily chores is instead brought to an institution or receives the type of care that is well beyond what they need. This not only places an enormous economic burden, but it also robs the individual of their sense of identity and freedom. Emotional: The other part of the Care Act 2014 recognizes that the dignity of seniors must be respected as well as providing protection from neglect and abuse. Here, providers will stay up to date on the type of local adult safeguarding arrangements that need to be made as well as keeping up with new policies whenever required. This in turn will support the emotional health of seniors, many of whom can stay at home and receive the type of assistance that is needed. There will be a new emphasis on shaping the overall market for caregivers that pulls in the voluntary and independent providers to help create a new system for ensuring that seniors are well protected and receive the appropriate care that is necessary. Instead of a “top-down” system of decrees, there will be far greater interaction with those in the field to provide the proper input so that the best care is given. Diversification of care is another goal of the act as well by providing the right type of care at the lowest price. The emphasis will be to ensure that providers will live up to the standards of the industry, but only provide the services that are necessary. This is designed to fuel more competition and bring down the costs.